You are hiring? Our job fairs have several benefits for you. 1. Meeting face-to-face with many candidates in just one or two days. 2. Meeting candidates in your field: our employment fairs are specialized, as are those who attend them! 3. Rapidly increasing your applicant database for future recruitments. 4. Improving and boosting the image and recognition of your company. 5. 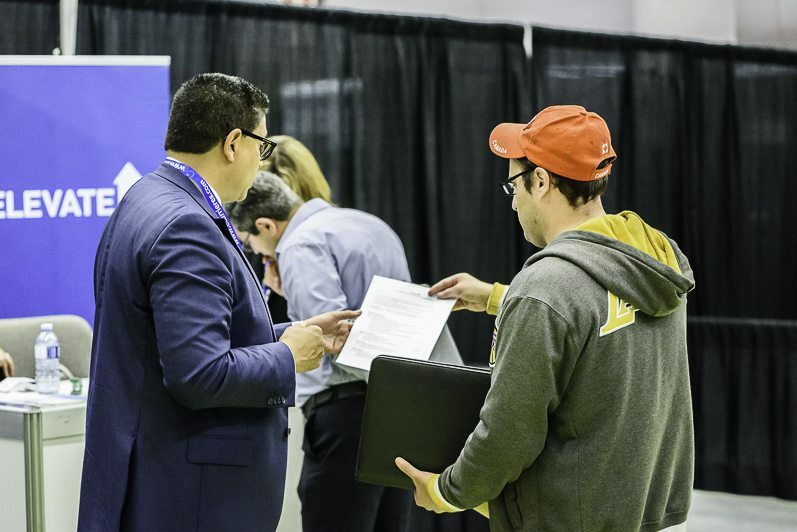 Participating in a major fair in the Quebec employment industry. 6. Benefitting from our wide-ranging communications campaigns. 8. Benefitting from our unparallelled customer and logistics services. We will be there to help you from the moment you reserve your booth to the very end of the fair!